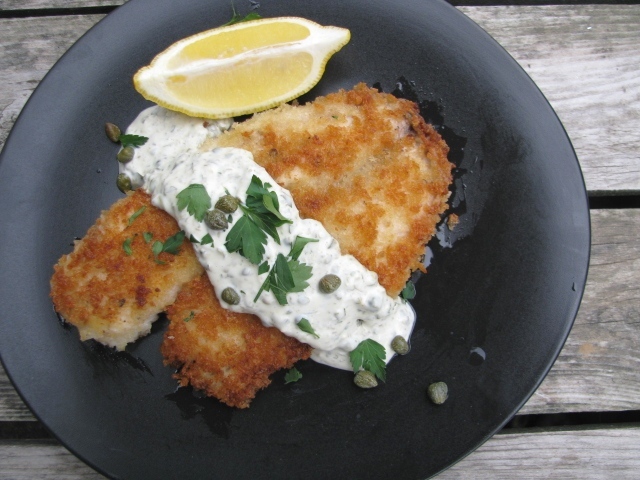 Here is one of the several dishes I made this week that can be served with the lemon caper sauce. Few things about this dish. After doing a little research I found Panko is supposedly healthier than regular bread crumbs - I'm now on a 'panko everything' kick. 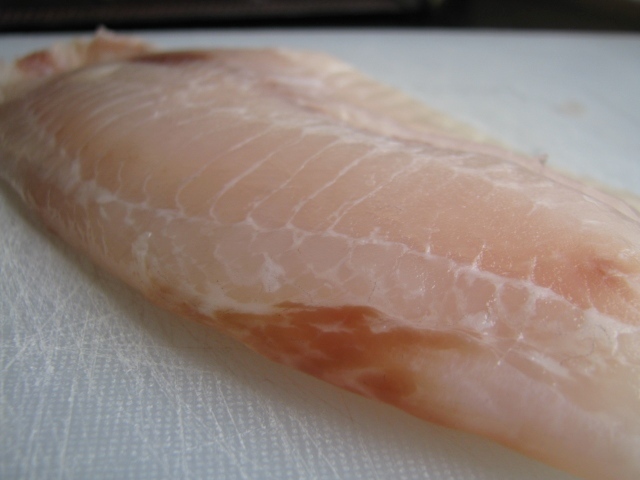 Tilapia is one of the more inexpensive types of fish therefore perfect for a test - just in case this recipe didn't work I did not want to have wasted some salmon filets. I do still prefer frying in crisco but for this test I used olive oil and it came out just fine. And best of all it was very, very quick - four minutes each side and dinner was done! Gotta love that. gather 3 dishes bigger than the filets. 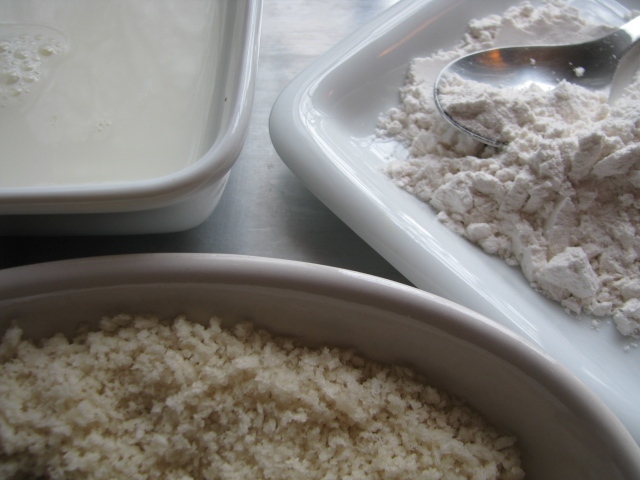 milk in one, panko in another, flour in the last. set these bowls somewhere nearby. squeeze some fresh lemon juice on one side. salt and pepper this same side. 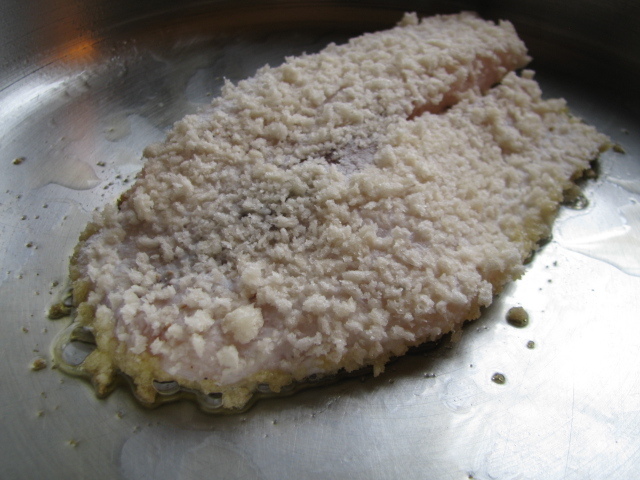 working with one filet at a time - dip first in the flour - then milk - then panko. add a couple tablespoons of olive oil to your skillet then immediately add the filets. cook around 4 minutes on each side - until brown and crispy. 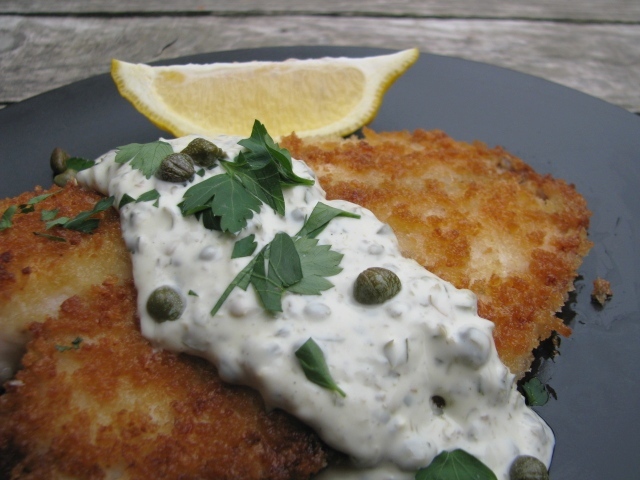 serve immediately with lemon wedge garnish - some fresh chopped parsley - maybe a few extra capers - and lemon caper sauce.